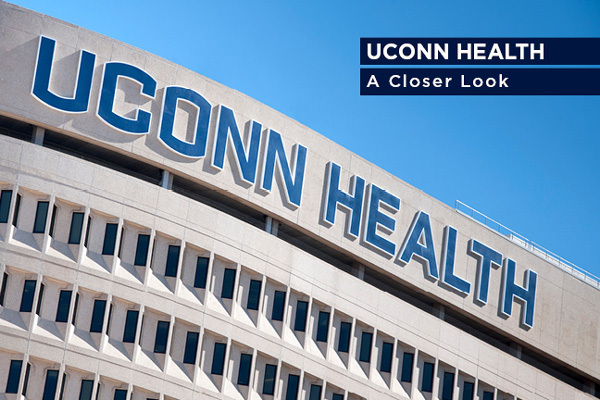 As UConn Health explores public-private partnerships to strengthen our organization and journey to a stable future that fulfills the aspirations of Bioscience Connecticut, you can follow along on this site where we will post news, videos, and documents of interest. 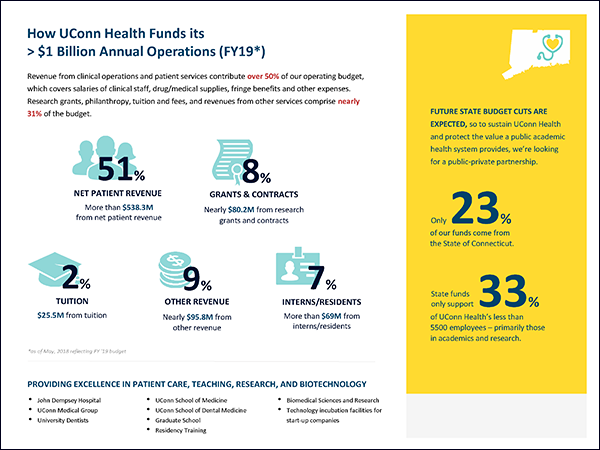 To meet the needs of its residents, fellows, students and patients, UConn Health and its subsidiaries and affiliates believe that a strategic partner could provide the expertise, economies of scale, and financial stability necessary to enable UConn Health’s clinical enterprise to compete more effectively and continue its tradition of providing high quality medical education and training and research-driven, affordable patient care. Information about UConn Health, including Solicitation of Interest, is below. 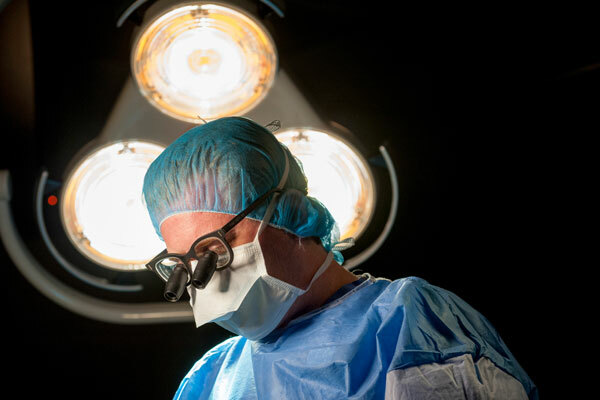 Through the synchronized teamwork of the Pat and Jim Calhoun Cardiology Center, Emergency Department, and our pioneering Cardiac Cath lab, heart attack patient care is faster and safer than ever. 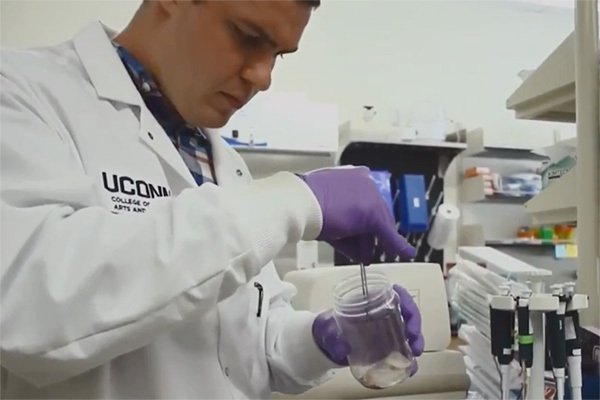 UConn’s Technology Incubation Program (TIP) is helping biotech start-up companies in Farmington advance their innovative research and promising medical devices to bring potential cures closer to patients. 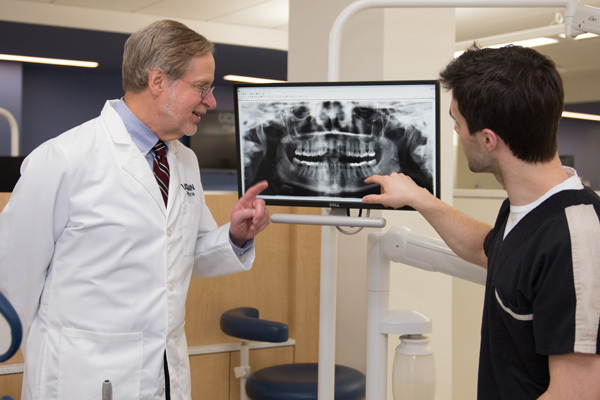 Take a tour of the newly renovated dental clinic area with the UConn School of Dental Medicine's Director of Resource Management, Dr. Jacqueline Duncan. 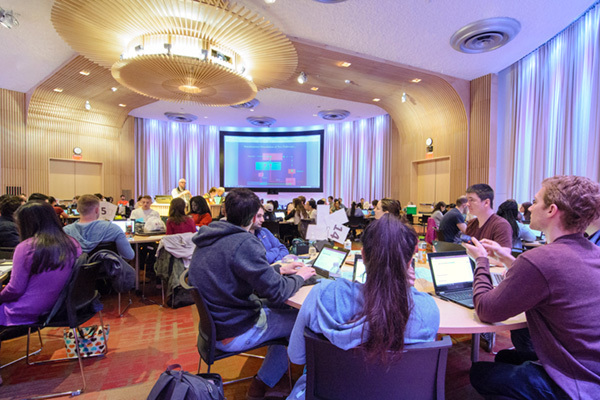 Team-based learning is a cornerstone of the curriculum at the UConn School of Medicine. Students are actively engaged in case-based, interactive learning that prepares them to apply their knowledge in a clinical setting. Our top experts are sharing their latest innovative clinical care breakthroughs and translational research explorations that are advancing medicine and patient care. 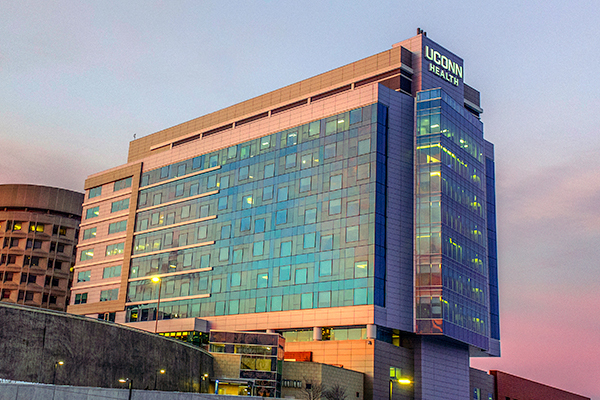 Under Bioscience Connecticut, the new patient care tower and renovations to UConn John Dempsey Hospital will provide the region with the most advanced health care technologies. In addition to state-of-the-art equipment and services, the projects are being designed to best meet the needs of our patients and their families. Learn more.